Today, ARCHOS announced their new Platinum Range tablet lineup. There are three tablets and each boast some pretty noteworthy specifications. There is an 8″ slate called the 80 Platinum, a 9.7″ called the 97 Platinum, and an enormous 11.6″ beast called (you guessed it) the 116 Platinum. Each tablet in the lineup will incorporate the following features listed below. Being the competitors ARCHOS are, these tablets are priced quite well. The 8″ tablet will start at just $199 and launches in February, the 9.7″ will sell for $299 at the same time, and the 11.6″ monster will go on sale in April for $349. At those price points and with these impressive specs, it looks like they might have found a winning formula that can get consumers interested. Think you might pick one up? Denver, CO – February 14, 2013 – ARCHOS, an award-winning innovator in consumer electronics, introduces the Platinum range, a new line of tablets that feature a sleek aluminum design combined with the best high definition IPS displays, quad-core processors and Android 4.1 Jelly Bean. There will be three tablets in the range including an 8-inch, 9.7-inch and 11.6-inch all of which deliver true vivid colors, sharper text and amazingly fast performance. 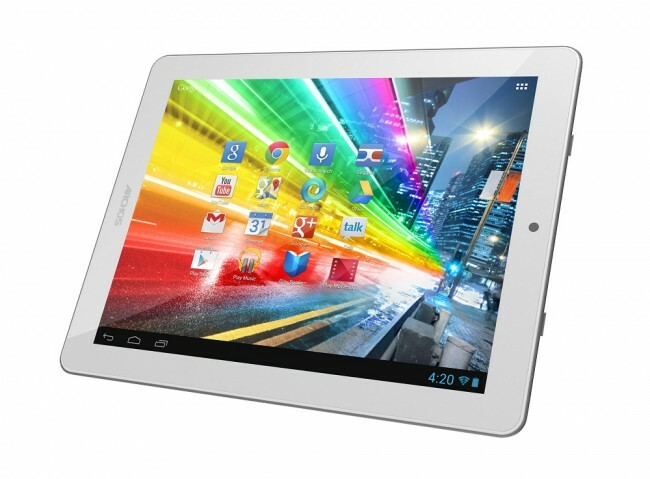 The ARCHOS 97 Platinum HD, a 9.7” tablet, features a stunning 2048×1536 resolution IPS screen, which is comparable to the Retina display found in the iPad, but is 40% less expensive. The 97 Platinum HD will be available in February for $299.